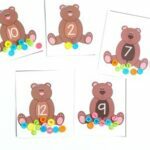 These counting bears number strips are a hands-on way for toddlers and preschoolers to learn numbers, counting and even colors. 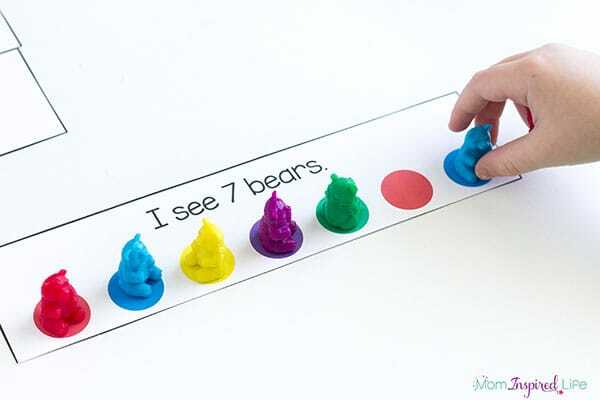 It is a great extension for the book Brown Bear, Brown Bear, What Do You See? 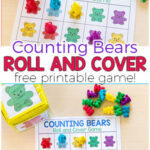 Both of my kids enjoy playing with our bear counters so I like to use them in a wide variety of activities. 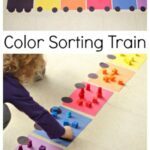 From measuring with them, to sorting them by color and even using them as game pieces, they are one of our go-to learning manipulatives. 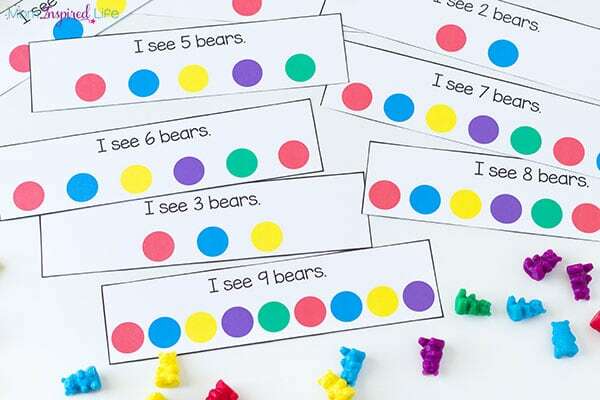 I knew right away that I wanted to use them in a math activity that would go with this month’s Virtual Book Club for Kids book selection, Brown Bear, Brown Bear, What Do You See? 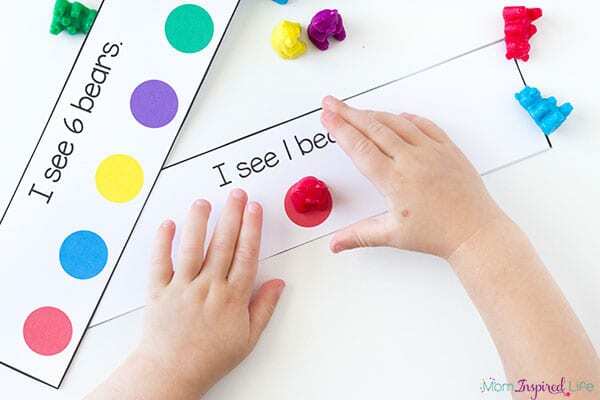 Because colors are the main concept in the book, I knew I wanted to add a color element into our activity. 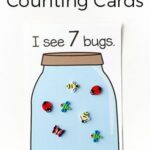 So I came up with the counting strips that would also allow my children to practice color matching. 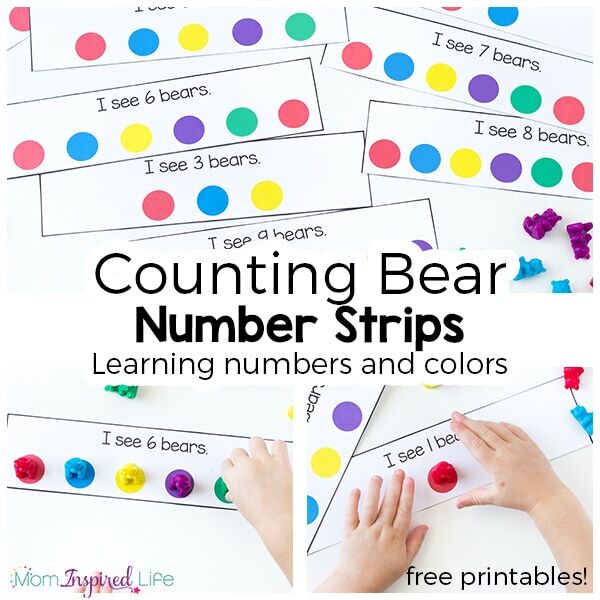 Print the counting bear number strips on cardstock for durability. 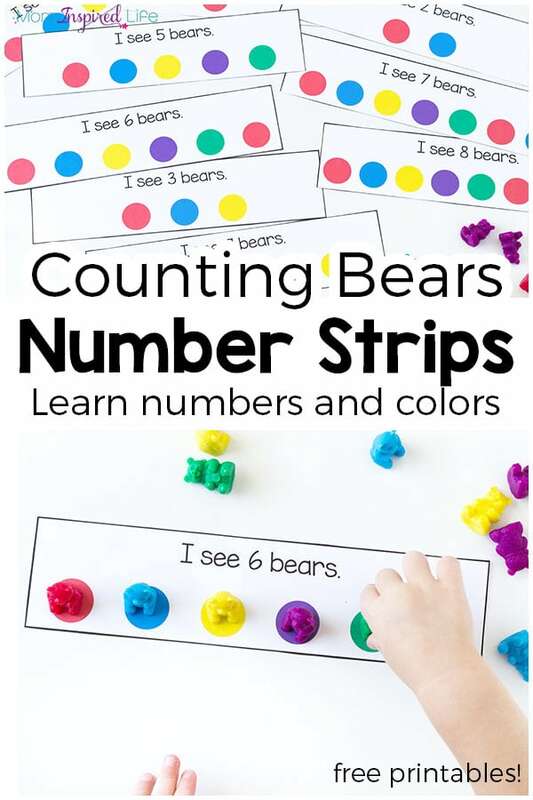 I dumped the counting bears on the table and placed the strips next to them. Then I showed my kids what I had set up. 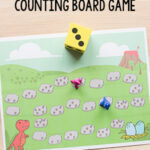 As usual, they were very excited to use the counting bears. 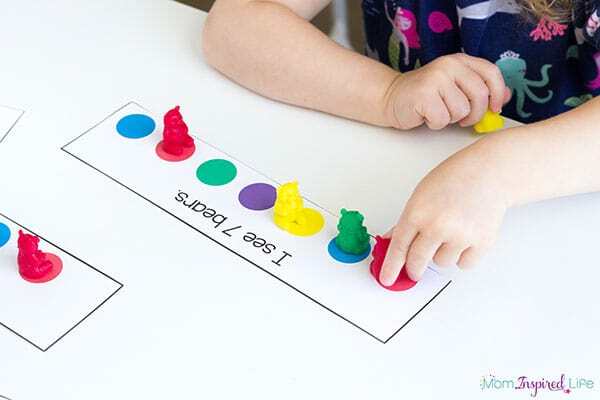 My 3-year-old daughter (36 month) quickly realized that she should be matching the bears to the correct color circle on the strip. I was quite surprised by this because I figured I would have to explain that part to her. My 5-year-old son also wanted to join in and actually found it really enjoyable, even though it was very easy for him. While he was doing it, it occurred to me that I should make a version with numbers 10-20 for him. So I hoping I can find the time to do that soon. 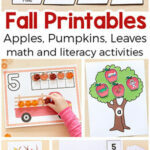 They both went through each and every card on their own and my daughter was even willing to do a few extras. I can tell that these will be making an appearance quite often this school year! 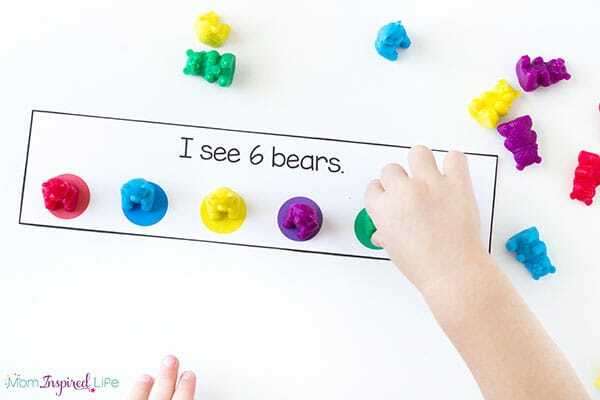 How do your kids or the kids in your class like to play with counting bears? 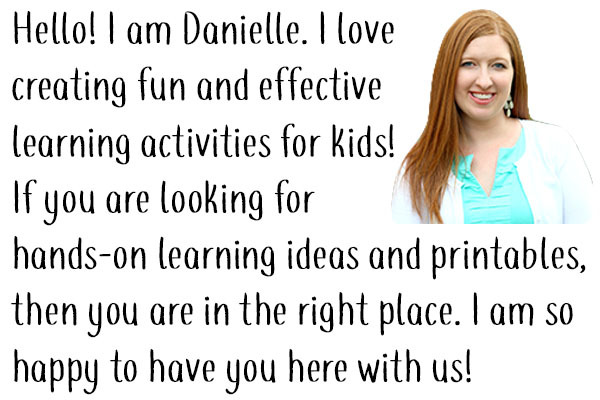 Check out these other posts inspired by Brown Bear, Brown Bear, What Do You See?